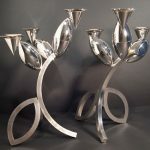 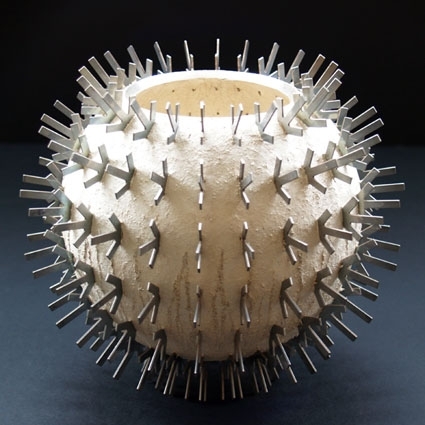 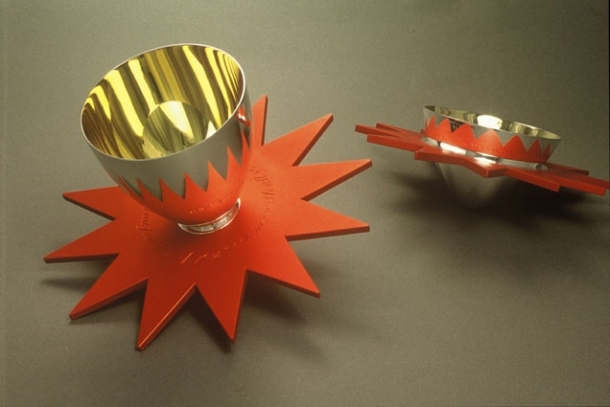 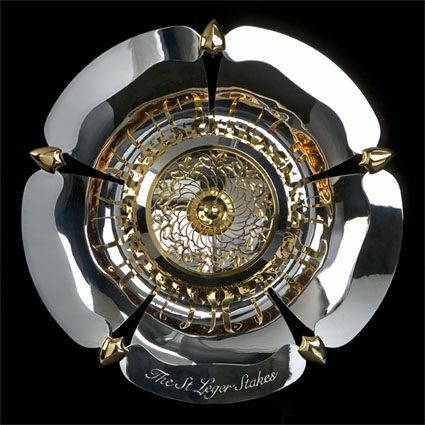 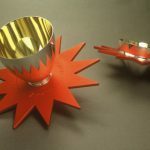 Known for functionally and visually provocative silverware, Chris has exhibited internationally and is represented in public collections including The Worshipful Company of Goldsmiths’, The Victoria & Albert Museum, the Archdiocese of New York, the P&O Makower Silver Trust, The Rabinovitch Collection, The Crafts Council, The Shipley Collection, Sheffield Assay Office, The Cutlers Company, Sheffield Museums & Galleries, Sheffield Cathedral, Birmingham City Museum, Aberdeen Art Gallery and The Musee Des Arts Decoratifs. 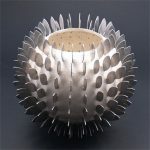 Chris was shortlisted for the prestigious Jerwood Applied Arts Prize 2005, won the Museum Sheffield National Metalwork award for his silver and stainless steel Chalice titled ‘Lest We Forget’ in 2010 and is lead designer of the St Leger Stakes permanent trophy. 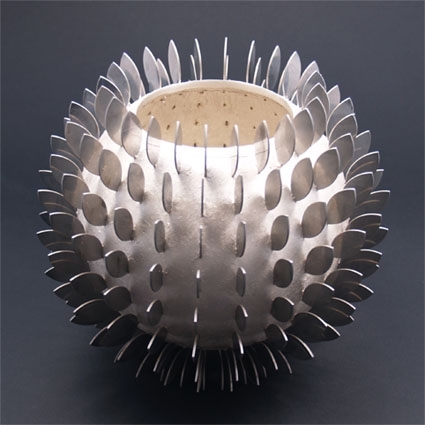 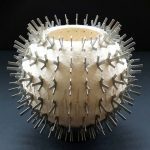 His practice includes sculpture and public art; the largest of which, ‘Cutting Edge’ Sheffield, has received numerous awards other pieces are sited in Basingstoke, Leeds, Gateshead, Blackpool, Sheffield, St Helier and New York City. 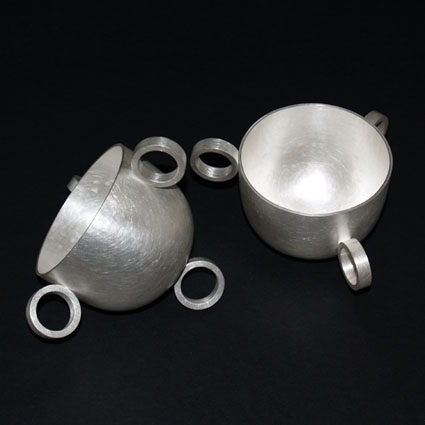 Chris is a Liveryman of the Worshipful Company of Goldsmiths and a Fellow of the Royal Society of Arts. 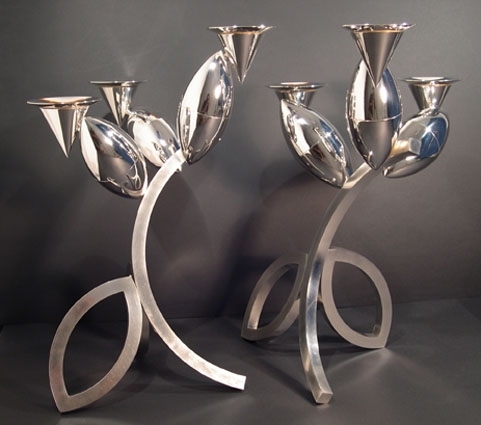 How to contact Chris Knight.